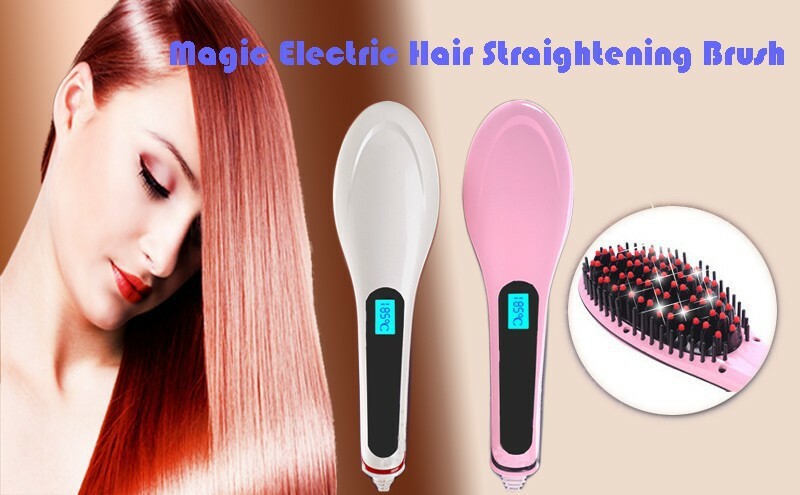 Let us introduce this elegant and stylish new trend, the electric hair straightening brush gives you instantly straight hair without the hassle of using time consuming hair straighteners! This magical brush heats up in 30 seconds and is simple to use, you simply brush your hair and hey presto... straight luxurious locks are yours within seconds. With three different heat settings up to 200c, this brush is suitable for all hair types! The brush gives out negative ions to create a silky and shiny finish, for the first time ever you now have a chance to have a great hair day all day long! Bad hair day? Ain't nobody got time for that! - Straightens hair within seconds!